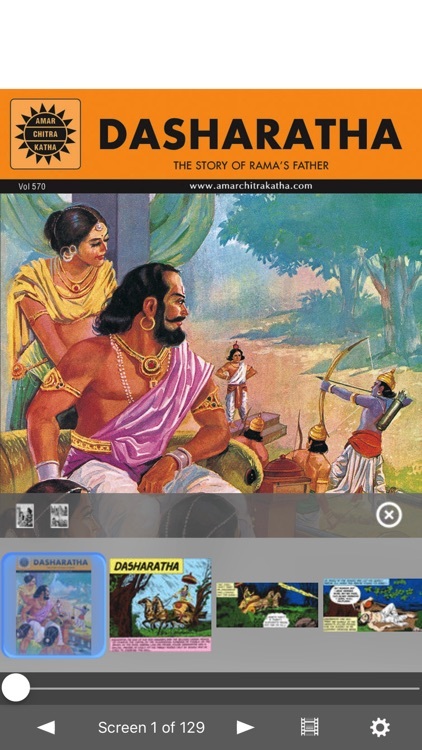 Dasharatha (Rama's Father) - Amar Chitra Katha by iRemedi Corp.
Dasharatha, the prince of Ayodhya, was out hunting when he heard the sound of an elephant drinking water. Aiming his bow the prince shot in the direction of the sound. 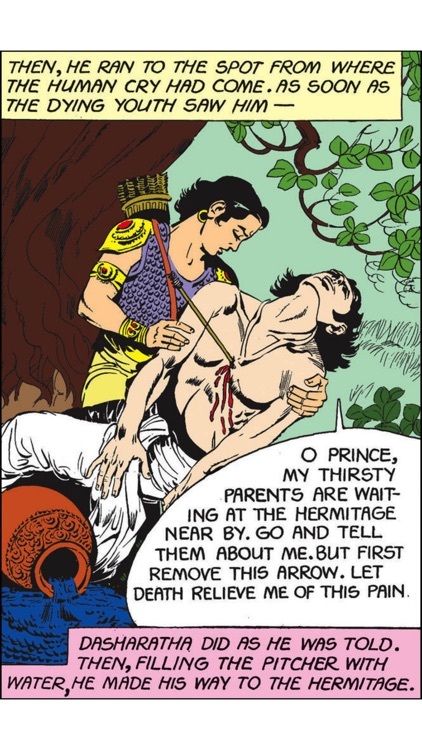 Tragically, the arrow killed a youth who was filling water in a pitcher for his old and blind parents. 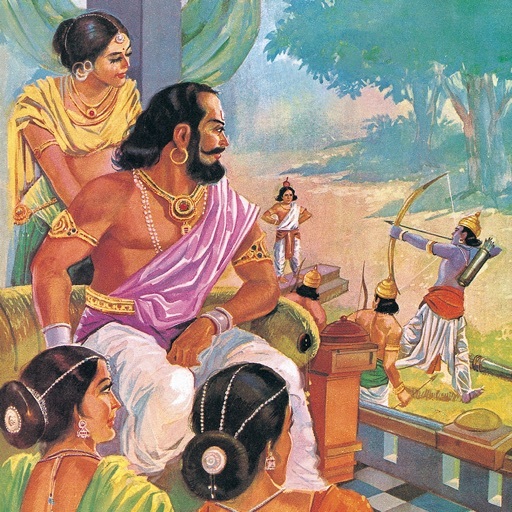 the anguished father cursed Dasharatha that one day he would die grieving for his son. 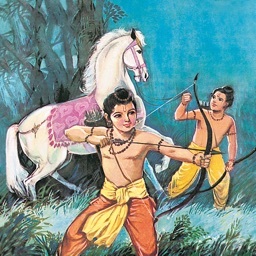 Dasharatha's son was the valiant and unparalleled, Rama. 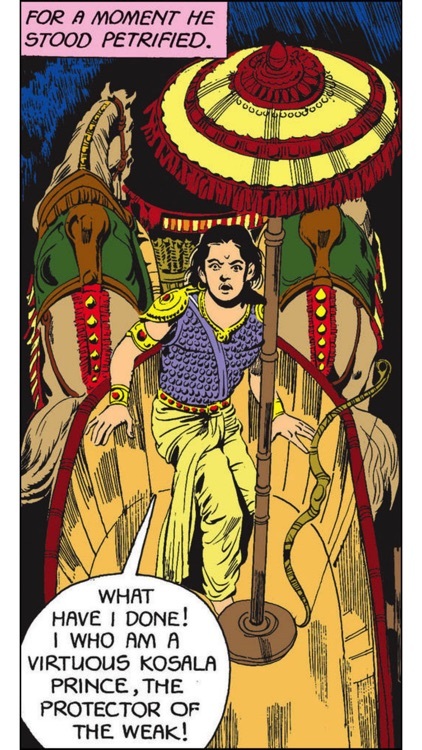 He was a king of Ayodhya of the Ikshvaku dynasty whose life story is narrated principally in the Hindu epic Ramayana. 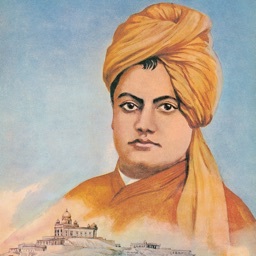 He was a descendant of Raghu and was the father of Rama, the heroic prince of the Ramayana and an avatara of the god Vishnu according to Hindu tradition. 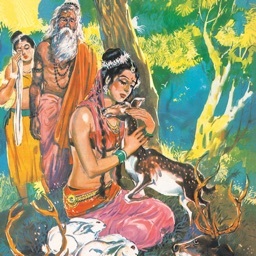 Dasharatha had three wives namely, Kaushalya, Sumitra and Kaikeyi. Rama was the son of Kaushalya, Lakshman and Shatrughna were the sons of Sumitra, and Bharata was the son of Kaikeyi. 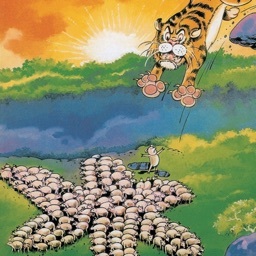 ACK-Media is India's leading entertainment and education company for young audiences. 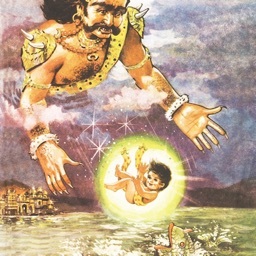 ACK has enthralled generations of readers for the last four decades with over 600 + Indian mythology tales with over 90 million titles sold worldwide. ACK partnered with iRemedi in bringing the timeless classics to the iPad, iPhone and iPod community. iRemedi's ETHERMEDIA is a proprietary mobile content delivery technology that provides revolutionary touch media viewing. iRemedi works with rich content publishers to bring their rich content to the iPhone community. 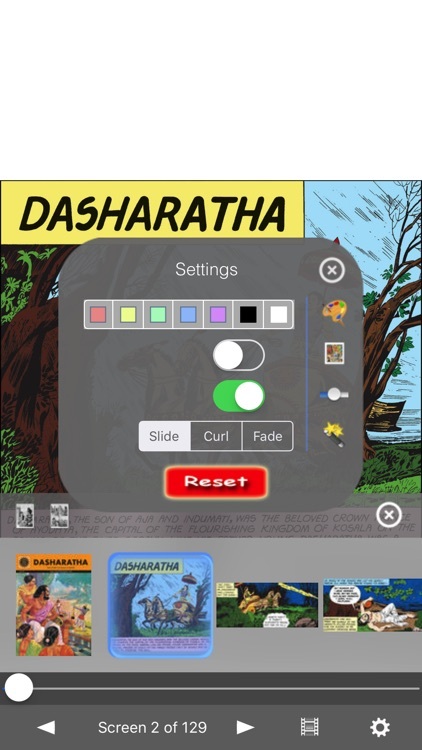 Enjoy full color high-resolution art and story in an award winning and intuitive user interface. New Releases: - Sons of Rama - Mother Teresa - Folk Tales of China - Folk Tales of Europe - Guru Gobind Singh - Birbal the Clever - All Time Favorites - Buddha - Mahabharata - Folk Tales - Krishna - Ganesha - Dashavatar - Tales of Shiva Other TINKLE Collections: - Suppandi - Shikari Shambu - Anu Club Other Comics: TRIBORO TALES - "An Eclectic-slice-of-life-look at love in the millenia. A NewYork-urban dramedy in a modified Manga artstyle that keeps you engrossed." - First issue free!